Addison: What kind of surprise is this? Permalink: What kind of surprise is this? One named Ginger. 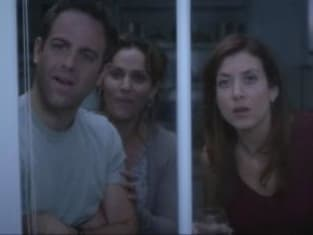 Addison: What are you people doing in my house? Cooper: I told you. It's a surprise. It's a surprise for Sam. Addison: You know about this? Addison: If it's a surprise for Sam, then why aren't you at Sam's house?